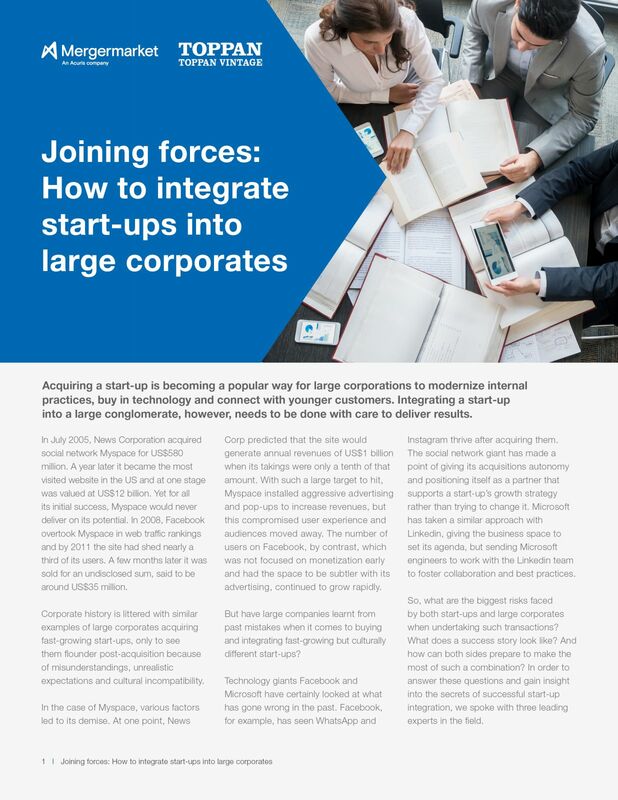 To understand how large companies can effectively integrate fast-growing but culturally different start-ups, Mergermarket on behalf of Toppan Vintage spoke with three experts. • What are the most common points of tension between a large company and a start-up after acquisition? • What are the biggest risks faced by both start-ups and large corporates when undertaking such transactions? • Beyond technology, what other sectors might see start-up acquisitions in the near future?